What Bowman also represents is an era of old. He was there before Jim Harbaugh showed up and was a vital part of the team’s three-year run of playoff appearances. Along with Joe Staley, these two were part of a team struggling to find their identity before the playoff glory happened. Now as a new regime is making their mark, changes were inevitable. Bowman no longer was the player he was once and he doesn’t fit into the new plan. The move isn’t surprising, but it’s still hard to accept. 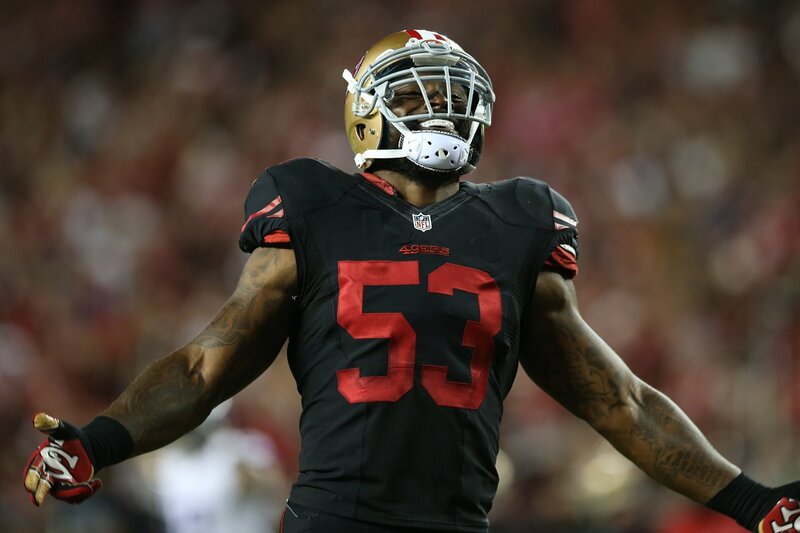 It’s time for the 49ers to move on and for Bowman to find a new team. As the 49ers continue to distance themselves from the good ol’ days with Harbaugh and try to establish their own new identity, saying farewell to the past is part of it. This was a business move and it’s time for both sides to go on with their business. I am grateful for all Bowman did for the 49ers. I wish him well. This entry was posted in Commentary, NFL, San Francisco 49ers and tagged NaVorro Bowman. Bookmark the permalink.